The Arecibo signal is one of the most remarkable scientific leaps taken by humanity in its attempt to establish contact with aliens. The radio signals pack up basic information about humanity inside it such as prime elements found on the planet, our Solar System and Earth’s location inside it and the basic structure of humanity and its genetic composition. However, this was just a small (but significant contribution) in the vast array of radio signals that humanity has been emitting into the open outer-space since the advent of mass communications. With radio waves from television signals, satellite broadcasts and other sources crossing Earth’s atmosphere in the vastness of deep space, humanity making daily attempts to communicate with a sentient species out there. Let us take a brief look at what arrangements we have made to establish contact with intergalactic extraterrestrial intelligent. Search for Extraterrestrial Intelligence has been operating since the 1970s and has deployed the Alien Telescope Array that is dedicated to catching radio frequencies emanating from various sources in the outer-space and weeding out the ones that were likely sent by sentient species. 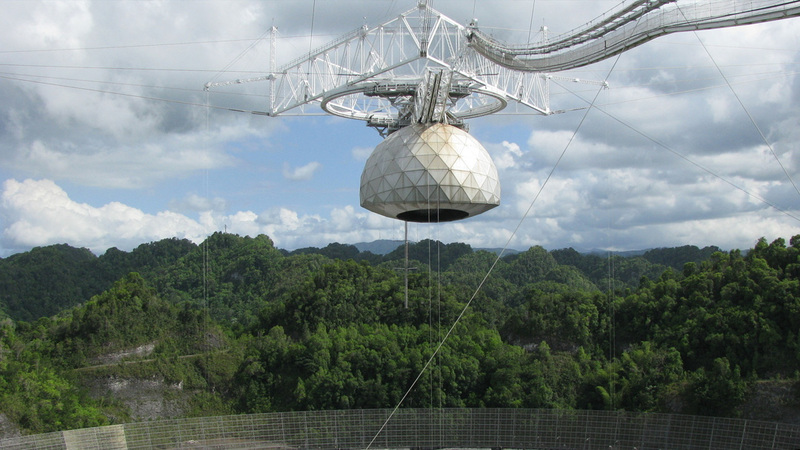 The Arecibo Observatory is CURRENTLY home to the world’s largest single-aperture radio telescope with a diameter of 1000ft (305m). Located in Puerto Rico, this was the radio transmitter that sends the Arecibo signal mentioned above. 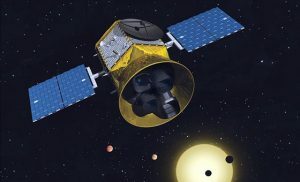 Transiting Exoplanet Survey Satellite helps pin down Earth-like planets in remote solar systems by measuring the amount of light that they obstruct from their star when they complete one rotation. These and many others have helped us to gain a lot of insight into the dynamics of cosmic phenomena that can hint towards a possible existence of life or even sentient life. The existence of the planet Gliese 581g which is twenty light years away from the Earth has been a groundbreaking discovery in our quest for finding extraterrestrial life. However, the closest we have come to finding a possibly habitable planet is the discovery of Proxima B, which is just 4.2 light-years from the Earth in the Proxima Centauri star system, has a mass 1.2 times of Earth and is similar to our planet in other astronomical parameters. However, the closest we have come to possibly finding water on other planetary body is inside our Solar System on Europa one of Jupiter’s moon when Hubble Space Telescope discovered plumes of water on the satellite. Let us hope that there is an ocean of liquid water below with bustling life below inside it. These discoveries especially the former two have been crucial in the further discovery of alien life forms on other planets. However, to be honest, finding life-supporting planets has one in a millionth chance, finding sentient life falls to several magnitudes below. Let us hope that if an alien civilization is advanced to a level of three or beyond on the Kardashev scale, they will honor our attempts to establish contacts in the vast reaches of deep space by responding cordially.